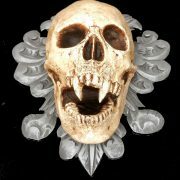 Medieval style gothic skull wall crest. Approx. 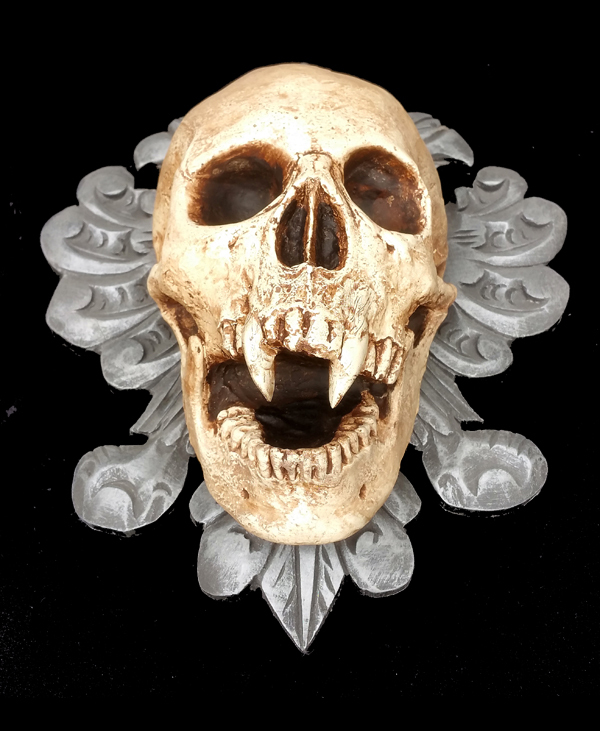 12 inches high and extremely detailed. Flat-backed for wall mounting. 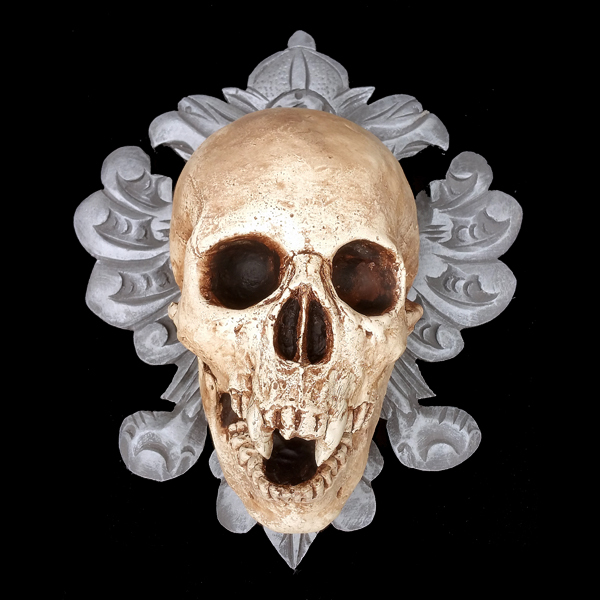 The gothic skull ornament is very strong and weather proof for outside display.